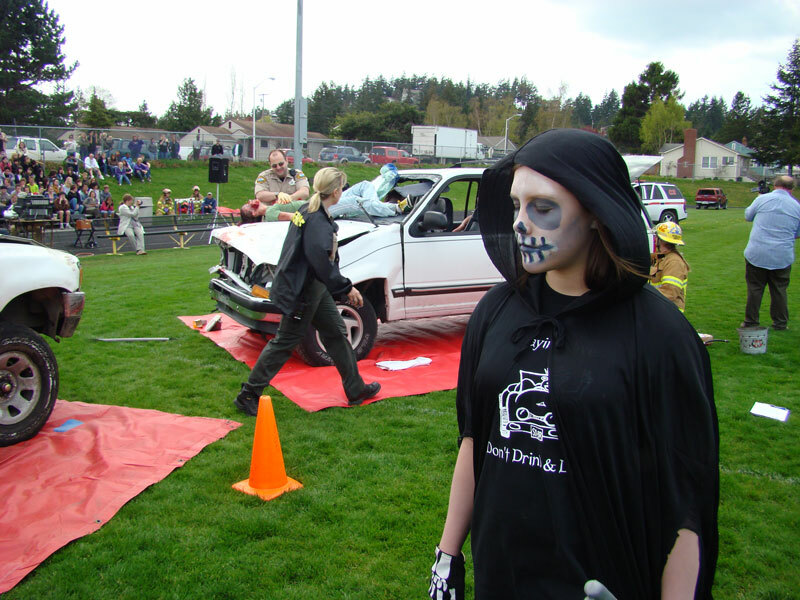 Every 3 years SJIEMS offers The Every 15 Minutes Program aimed at helping high school students resist the pressures to drink and drive in a real-life experience without the real-life risks. This emotionally charged program is an event designed to dramatically instill teenagers with the potentially dangerous consequences of drinking alcohol, using Marijuana or even texting especially when in control of a vehicle. This powerful program challenges students to think about drinking, personal safety, and the responsibility of making mature decisions when lives are involved. Currently, the program is in its 14th year and this is the 6th crash event held on San Juan Island. The program takes place over the course of two days. The day of the simulated crash is April 17th at 2:00 PM and is held at San Juan Island High School track and field. In the following hours participating students will experience fire and EMS rescue and aid, an arrest by law enforcement, and a court trial at the county courthouse. Participants will attend a retreat and finally a funeral program the following morning. Spectators are invited to attend the crash event at the high school, the court trial (limited seating) and the funeral held at the San Juan Island Community Theatre beginning at 8:30 AM Wednesday, April 18th. The Every 15 Minutes program is funded almost entirely through the donations of concerned citizens, grants, and safety partners. The Every 15 Minutes program would like to give special thanks to this years donors. (Mary See Foundation, Community Foundation, Women’s Fund, North Region EMS & Trauma, Roche Harbor Resort) To view previously recorded events held at the Friday Harbor High School you can go to www.youtube.com, search: Every 15 Minutes San Juan Island.